The Iowa Supreme Court is blocking a recent law that requires women to submit to a 72-hour waiting period before they can get an abortion. The Associate Press reports that the court ruled on Friday that the requirement, which was signed into law in 2017, violated Iowa’s state constitution. The ruling comes after Planned Parenthood and the American Civil Liberties Union (ACLU) sued the state over the waiting period requirement. The law had peen placed on hold during the challenge, according to the Des Moines Register. The AP notes that the waiting period is part of a law that bars women from from getting an abortion after 20 weeks of pregnancy. The 20-week ban was not a part of the legal challenge filed by Planned Parenthood and the ACLU. The court’s rejection of the 72-hour waiting period requirement is also separate from a law that Iowa lawmakers passed in May that blocks an abortion once a heartbeat is detected. 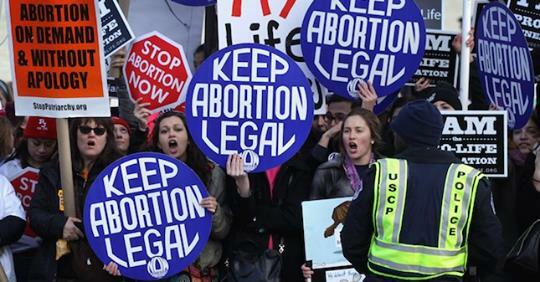 The law, which is on hold pending a legal challenge, would prohibit the procedure for most women by six weeks of pregnancy, among the strictest abortion legislation in the U.S. I would rate this one five stars, but the stars are missing. Thanks for keeping me posted.